The Industrial Arts Building was the second structure added to the campus. Building started on August 28, 1930 with a price tag of $300,000. It opened in 1932. 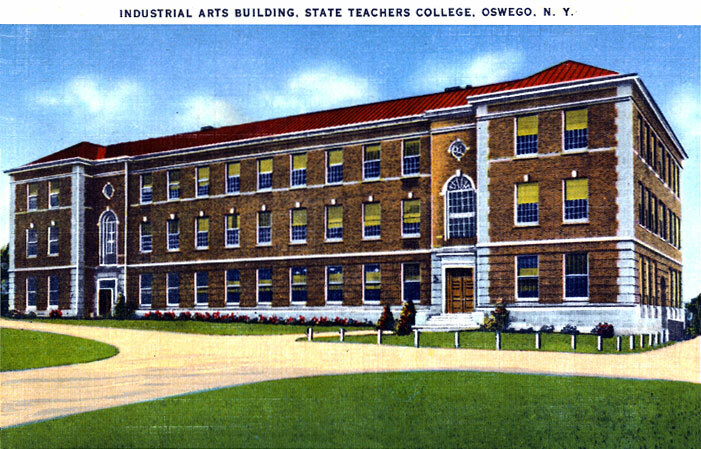 This building was organized and equipped by Joseph Park, a 1902 Oswego alum and an expert in his field of industrial arts. Prior to the construction and opening of the Industrial Arts Building, Park originally headed and taught the entire industrial arts curriculum with help from students in the basement of Old Main (now known as Sheldon Hall). 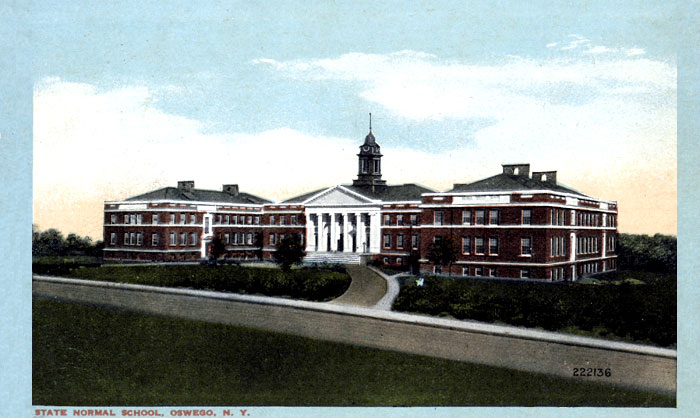 The Industrial Arts Building was later renamed Park Hall in honor of Joseph Park. 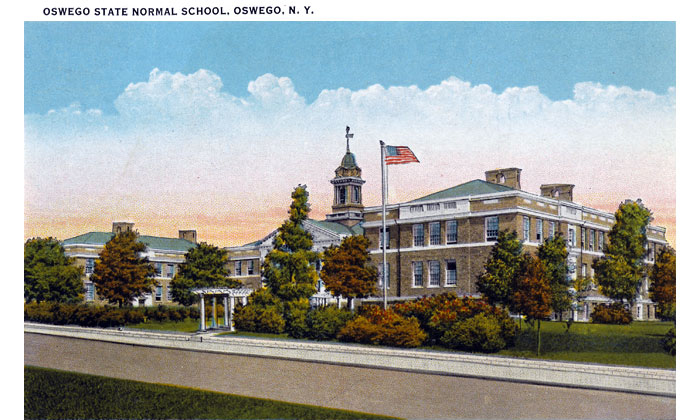 In 1913, the State Normal School campus moved from the city of Oswego to the current lakeside location following the construction and opening of what is now known as Sheldon Hall. This building was the vision of Isaac Poucher, who had succeeded the founder of the school, Edward Sheldon, as the principal of the Normal School. After considering several locations for the new building, 27½ acres were purchased along the shores of Lake Ontario. In 1909, the state legislature approved $340,000 in funding for construction to begin using a design by architect Franklin Ware of an H-shaped edifice with two wings and a central section. 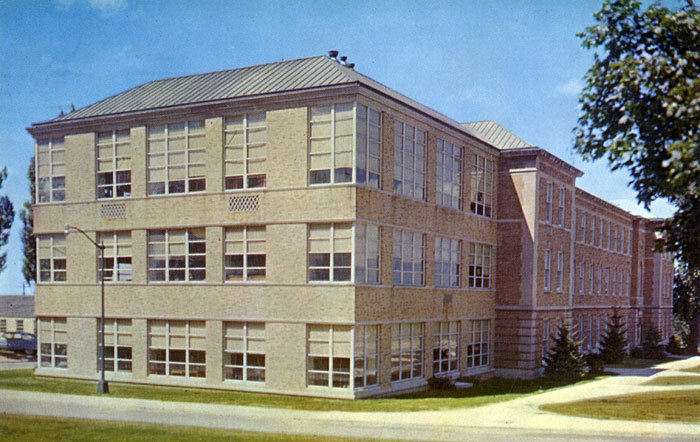 This building was the only building on campus until the Industrial Arts Building opened in 1932. At that time, the original building which housed the college became to be known as Old Main. 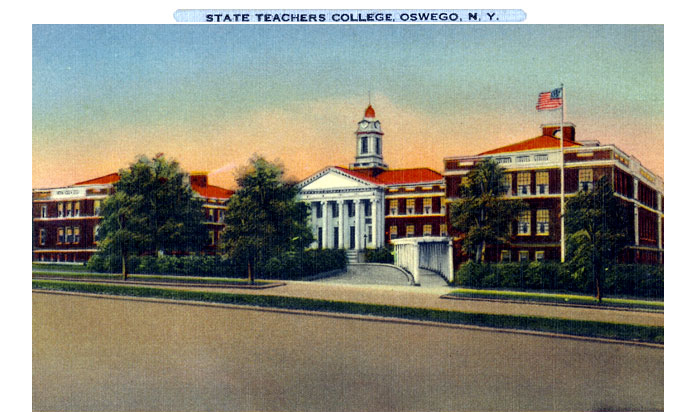 In 1942, state legislation elevated the institution from a normal school to the degree-granting Oswego State Teachers College. 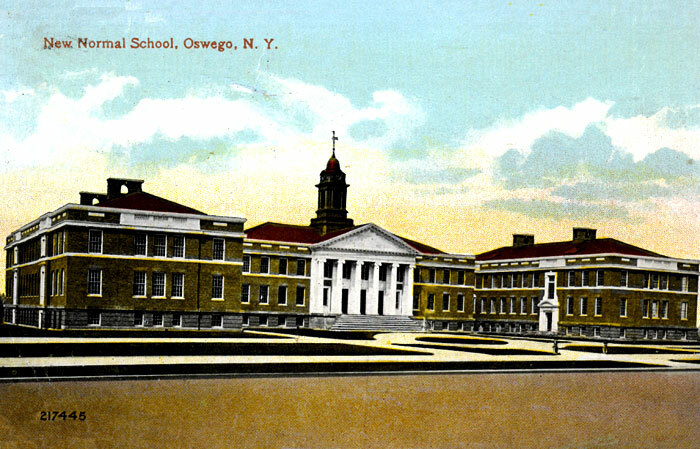 In 1948, Oswego became one of the State University of New York’s charter members. Old Main was officially renamed Sheldon Hall during the college’s centennial celebration in 1961. The building temporarily was closed in 1983 due to expensive upkeep and needed restoration. It was transferred to NYS’s Office of General Services who leased the building to a developer with plans to renovate and convert it into a hotel and conference center. Those plans were not realized and the project eventually shut down in 1991. Ownership reverted back to SUNY Oswego and the building slowly returned to life under the leadership of current president, Deborah Stanley. Today, Sheldon Hall houses the offices of Admissions, Development, International Education and Programs and the Children’s Center. The west wing is once again being used for teaching college courses, with the east wing offering student housing.